Willem Dafoe stunningly inhabits the outer shell of tormented artist Vincent Van Gogh in Julian Schnabel’s disturbing, arty biopic At Eternity’s Gate. Artist/filmmaker Julian Schnabel’s film At Eternity’s Gate recreates a period in Van Gogh’s life when his friendship with fellow artist, more pragmatic Paul Gauguin (Oscar Isaac) became overwhelmingly important to him. Scenes in the film are based on letters from Vincent to his brother Theo (Rupert Friend), recollections and also some invented incidents. For a time the two artists left the grey skies of Paris for the wide, sunlit south of France and lived together in the Yellow House at Auvers-Sur-Oise until their friendship waned – with tragic results for Van Gogh. We get a sense of the artist as a living, feeling human being. Dafoe’s Vincent can be lucid, mad, brilliant, helpless, defeated and triumphant from minute to minute. It’s a fragmented look at an artist developing his art and simultaneously struggling to overcome his inner torment and delusions – which also fuelled the extraordinary painful vitality of his paintings, unappreciated in his lifetime. The film also features Mathieu Amalric as Dr Gachet, Van Gogh’s physician, Emmanuelle Seigner as Madame Ginoux, his landlady, and Mads Mikkelsen as the priest, all of whom catered to different fragments of his psyche. Schnabel uses a combination of realism and ultra-realism to convey the disorientation of the film’s central character. 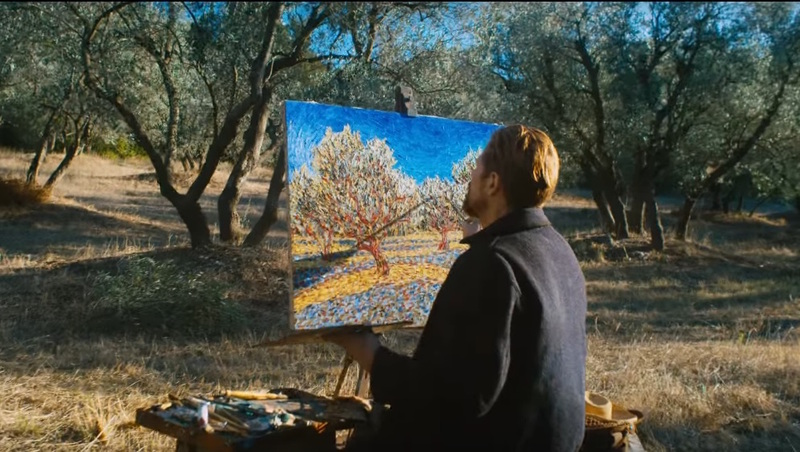 Scenes beautifully recreate the colours and moods of Van Gogh’s canvasses of his surroundings in Arles, both the cafés of the blue-tinged town at night and the sunlit countryside, where he would roam alone and set up his easel to pain, though as locations not animations, as in Loving Vincent. The film’s texture is slow and melancholy – so that whilst factually interesting and accurate, any dramatic tension comes from Dafoe’s stunning performance rather than the narrative. At Eternity’s Gate is released on 29 March 2019 in the UK. With a magical use of 3D, Jean-Pierre Jeunet’s TS Spivet sees a gifted 10-year-old trek across America to receive an award for his invention, given to him in the belief he is an adult.